Previously published in The Tribune's Weekend section on November 27, available online here. One of the refreshing things about the range of podcasts out there is the sheer breadth of subjects being tackled. This week, we focus on gender. 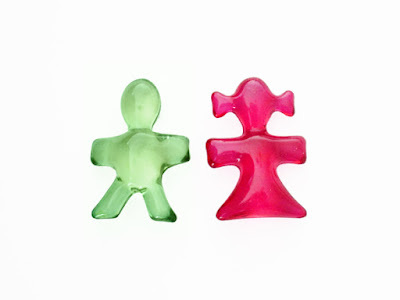 What does it mean when you define things in gender terms - even with pronouns when not necessarily needed? The Wagonpod team explored giving up gender pronouns - with mixed results. The Wagonpod podcast team of brother and sister of Julie Kinn and Marc Shechter have a strong theme for their show – every time, they give up something that is an integral part of our lives. And last time around, they gave up gendered pronouns. What is that, you say? That's when you refer to people as he or she, or refer to his or hers, and so on. Why would you do that? Well, such a way of speaking can be problematic. Ever read a book and been annoyed because it describes people only in masculine terms rather than saying his or hers? The assumptions behind such terminology can be frustrating to people, and that can exclude them from the conversation. The hosts look back on the history of words – and how there have been efforts to create non-gender specific pronouns in the past, such as the word “a” in the 1300s which could refer to either gender, or “hiser” in 1850, “shim” in 1972, “herorhis” in 1975 through to the modern day, where Tulane University asks students to provide a first name and pronoun by which they would prefer to be identified. It's an intriguing discussion – and the hosts admit they struggled to avoid using words such as him or her in the week they tried to do so, because such words are so deeply ingrained in our habits of speaking. It also touches on discussions about transgender people, for whom his or hers is sometimes too definite and problematic. The pair really do give a great insight into how we define the world through our use of language, even when elements of the world resist such definition, and the struggles that ensue from that conflict. 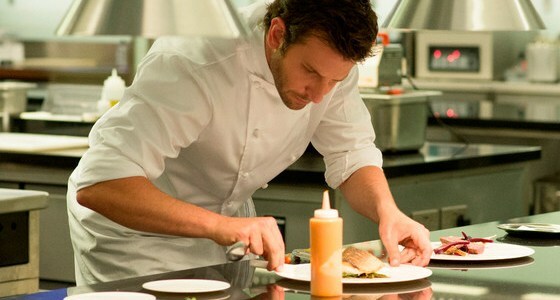 Bradley Cooper in Burnt - but why are chefs routinely seen as being a male-occupied role, especially when men make up a minority in the food industry as a whole? Cristen Conger and Caroline Ervin are the hosts of Stuff Mom Never Told You, a podcast that, as it says, looks at the business of being women from every possible angle. They look at a host of different subjects, from the presence of women in the visual effects industry, through perfectionism and what it means for women, and a host of other topics. The show I first tried, however, felt like it missed the mark. It was a shame because it looked at life in the kitchens of restaurants and how the role of chefs is routinely seen as being a man rather than a woman. There were interesting facts shown up in the discussion, for example how the statistics show a majority of women working in the food industry but only a fraction in the top jobs as chefs. The kitchen in top restaurants is often portrayed as a macho environment – the hosts reference TV shows with the likes of Gordon Ramsay hurling abuse at staff, and movies such as Chef or the recent Bradley Cooper movie Burnt as examples – but when it comes to discussing the reasons why women are so excluded from those top jobs, it feels like the show doesn't quite get to the heart of what is going on. Perhaps it's a time issue, but the suggestions don't seem to delve deep enough. Certainly, issues such as family life are discussed and working hours, but perhaps some more interviews with women in the profession might have dug into the problem more thoroughly. Still, it's a good listen, and other episodes are well worth visiting for an exploration of gender issues. More thoroughly getting to the heart of the issues they're discussing are Tracy Clayton and Heben Nigatu over at Another Round, which discusses in a more light-hearted fashion issues of race and gender, but also throws in earnest debate over how scary squirrels are and oddball questions such as would you rather have legs for fingers or fingers for legs. Yes, it's a bit odd like that. But that light-heartedness lets them loosen up their guests to have a bit of fun and makes them more open as they tackle the heavier issues. For example, in the episode I listened to, they chatted to Tatyana Fazlalizadeh, who created a street art project called Stop Telling Women To Smile which looks at issues of street harassment – issues which the Hollaback group here in The Bahamas have also been highlighting. It's a great interview, talking about how men who try to tell women what to do on the street are essentially trying to assert a power they have no right to assert. They also discuss the reaction of men who have in the past been street harassers and how they changed once their behaviour was pointed out to them. I don't entirely agree with the artist – she says for example that she can't deal with people who say they understand where she is coming from but who then add the word “but...”. She seems to want complete agreement without discussion, without leaving room for people to learn and question. The episode also discusses the use of the word “female” by men as if they were referring to another species, and how, as the segment says Men Gotta Do Better. The issues raised are sparky and completely worth listening to, especially if you want people to do better. Got a podcast you'd like to see featured in the review? Tweet me here or leave a comment below. Would love to hear your feedback too. I love Wagonpod, and that episode you're referring to was especially good (and especially interesting).